One of my first inspirations in personal development was the writer Stephen Covey. At one point, he advises readers to “Go out and teach what you learn in this book”. If you really want to learn something and get it ‘in the muscle’ – present it to others (even an informal group of friends of work colleagues). people behind NLP, Stephen Gilligan, a man who worked closely with one of the great founders of the subject, Milton Erickson. You always learn when working with people like this. 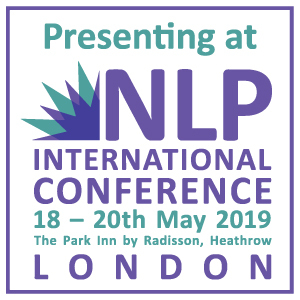 The reason for our contact was that I am speaking to this month’s NLP Conference about Generative Coaching, a brand-new approach to coaching co-developed by Stephen and Robert Dilts (NLP School is co-hosting a course on it, presented by Stephen and Robert, next year). Although I had attended a Generative Coaching course before, the thought of having to lecture other people about it made me question the depth of my knowledge. Talking with Stephen and ‘thinking out loud’ showed me that I was right to do so, and enabled me to deepen my understanding greatly. Becoming a life coach is about ‘being’ the teaching – but be natural! More generally, teaching personal development has kept my own change journey active and interesting. As Gandhi said, ‘be the teaching’. 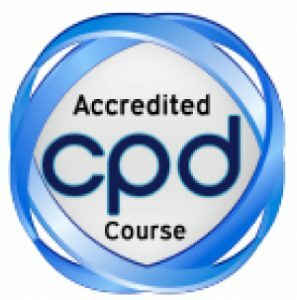 To be a personal development trainer who is irritable, aggressive, defensive, overweight or with nails bitten off gives the wrong message! 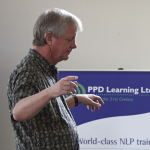 As a teacher of NLP you are a representative of NLP, living proof that ‘this stuff actually works’. At the same time, it is important to remain authentic when instructing others. NLP can also teach you how to fake a ‘good’ state, and I have seen people in the discipline begin to lose a sense of personal honesty in the quest for appearing calm, positive and together at all times. 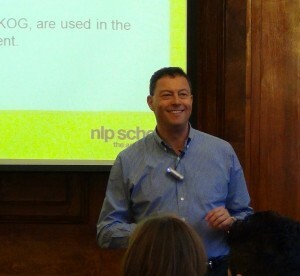 Even NLP trainers can get into bad moods! I’m fascinated by the art and craft of presentation. I used to record my teaching sessions, so if, when watching back, I found myself boring, I could make it tighter and more elegant. I love watching other people present, too – or just talk informally about a topic. People arrange their memories and thoughts spatially, gesturing to specific locations when talking about specific subjects and unconsciously using those same locations over and over again. This says so much about how people store information and the inner links we build in our minds – the stuff of NLP, of course. 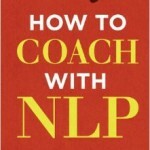 Working with people on NLP coaching processes I have learnt that most people’s problems and desires are both very similar in outline – the same themes recur over and over again – yet require uniquely personalised approaches. NLP healing processes are quiet prescriptive, yet they need to be adapted to be effective. It’s a bit like learning a musical instrument, where you have to master the basics, such as chords, before you start being very adaptive (solos). So many people have problems relating to beliefs established in their childhood. The most common of these among successful people is the link between working hard and feeling worthy; they have a deep psychological need to work to feel valuable. But what really matters is not the work but results. Changing this belief and the sense of self that comes with it can be extraordinarily liberating, both on an emotional level and by making people more efficient and results-orientated. 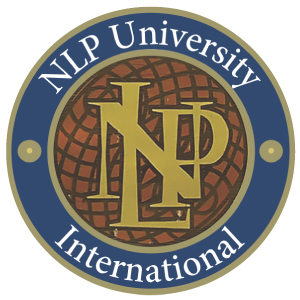 Teaching NLP all over the world, from China and Japan, to Russia, France and the USA – I have found that people are fundamentally the same. They want to change and to live happy lives. They will have cultural biases, especially about how they perceive their past and their family, but ultimately these are quite slight. 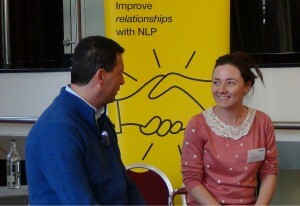 Perhaps what I have learnt most is that NLP is an understanding of humanity and hopefully it has made me more human.